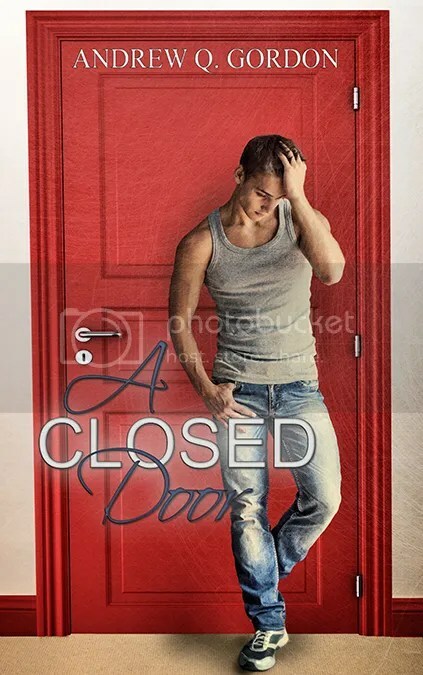 Book Blast: A Closed Door by Andrew Q. Gordon! “You can’t promise that. Things happen.” Orin watched as his words dragged Thomas back from the brink of hope. “That’s not what I’m telling you.” He locked his gaze on Thomas’s. “If I say yes, I’ll have to take down the walls I surrounded my heart with to keep it safe. Once it’s gone, I won’t be able bring it back if I get hurt. Not now. He knew how unfair he’d been, but self-preservation had been a skill he’d honed over the past fifteen years. He needed Thomas to know just how serious the repercussion could be for his actions. “Orin, I . . . I . . . how . . .?” Their faces were inches apart, and Thomas moved in for another kiss. This felt different than the first—less urgent, but no less intense. Orin trembled at the leap he was about to take. When they stepped back, Thomas rubbed his thumb across Orin’s cheek. Thomas’s lips quivered and the tears welled at the bottom of his eyes. He kissed Orin’s forehead gently. “Good-bye, Orin. Please be happy.” Without looking back, Thomas walked to the front door, opened it, and walked away. This entry was posted in For Your Reading Pleasure and tagged Book Blast, MM Romance, Pride Promotions by Charley Descoteaux. Bookmark the permalink. Thanks Charley for hosting me today and helping me spread the word about the new release.